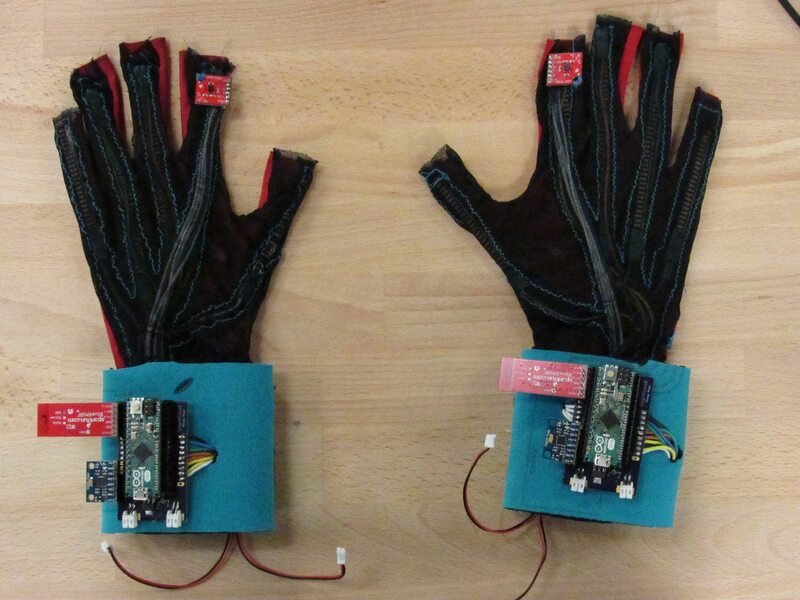 Two students who connected over a shared interest in invention and problem-solving have designed a pair of gloves that translate American Sign Language into text and spoken English. Thomas Pryor and Navid Azodi from the University of Washington are the $10,000 Lemelson-MIT ‘Use it!’ Undergraduate Winners for their invention SignAloud. SignAloud gloves recognise gestures that correspond to words and phrases by using sensors that record hand position and movement and send data wirelessly via Bluetooth to a central computer. Various sequential statistical regressions, similar to a neural network, match gestures, with the corresponding words spoken through a speaker. 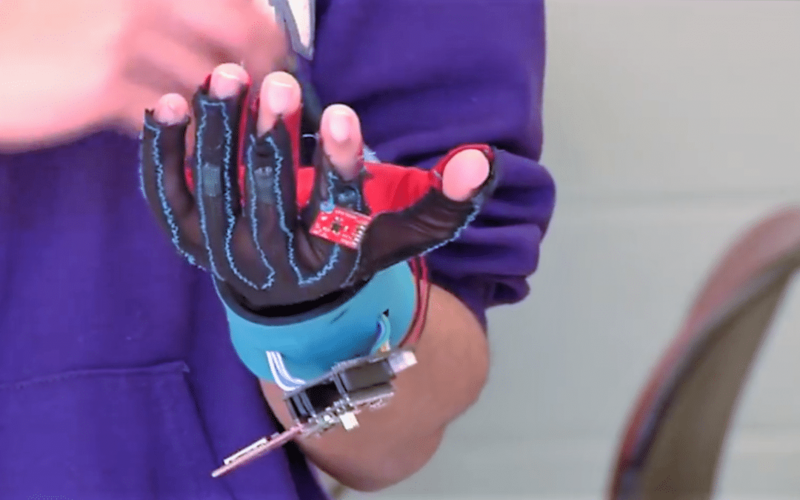 As well as helping the deaf and hard-of-hearing community, the gloves could potentially find use in medical technology to monitor stroke rehabilitation, gesture control and enhanced dexterity in virtual reality. Learn more about why the pair developed this invention here. Students interested in applying for the 2017 Lemelson-MIT Student Prize can complete this interest form. Tags: Communication, Disability, Identity, Language, Medicine, Rehabilitation, Social inequality, Virtual Reality, Wearable technology, Youth. My name is Mike and I run my own business in the UAE. We are accessibility and safety consultants and we supply accessibility products to the market. I would like to know more info about this product, is it commercial, does it support other Sign Language then the ASL?